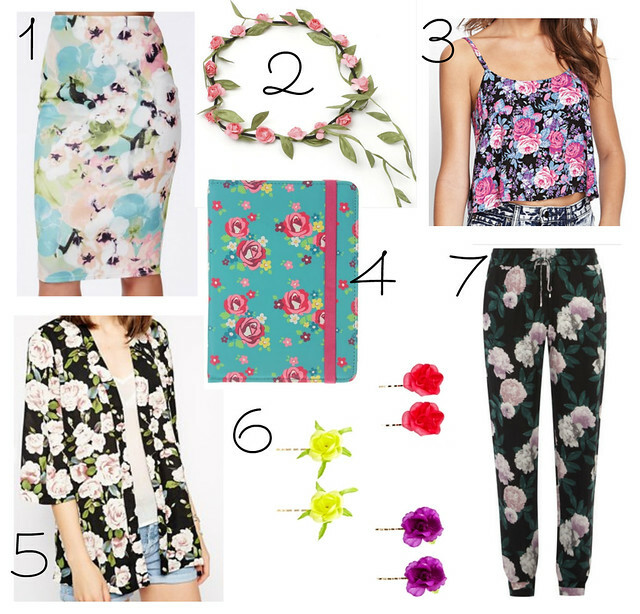 Todays wishlist is all about florals, the Summer's not over just yet so there's still time to wear them. Today I wore a rather casual outfit but I didn't want it to be too plain so I added in a nice floral top. I meant to post this up yesterday but I just didn't get a chance. 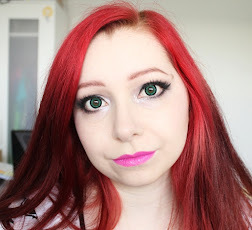 Todays makeup look is inspired by Nina Nesbitt, I only heard about her recently but she has done some great songs which you can check out here. 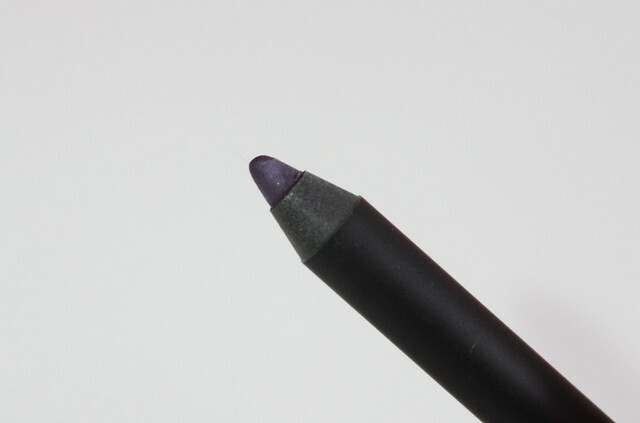 I've never tried any products from GOSH before and I received their Velvet Touch Eyeliner in Funky Violet in a Glossybox so I was interested in trying it out. 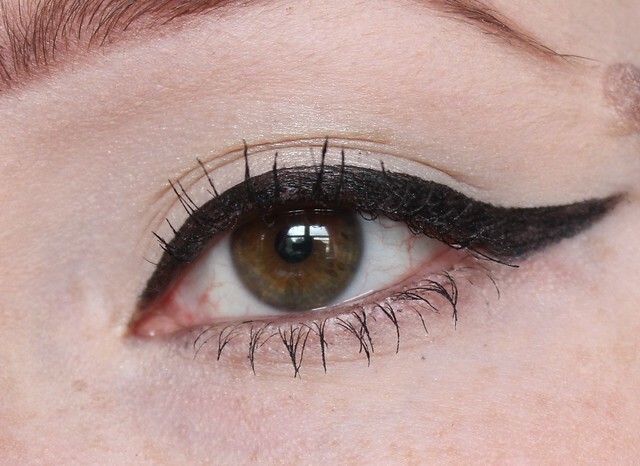 I'm glad that I received a coloured eyeliner too as I've got so many black eyeliners at the moment. The colour looks really purple in the stick but when applied it looks more like a plum colour. The pencil is really soft and applies so smoothly on the skin. 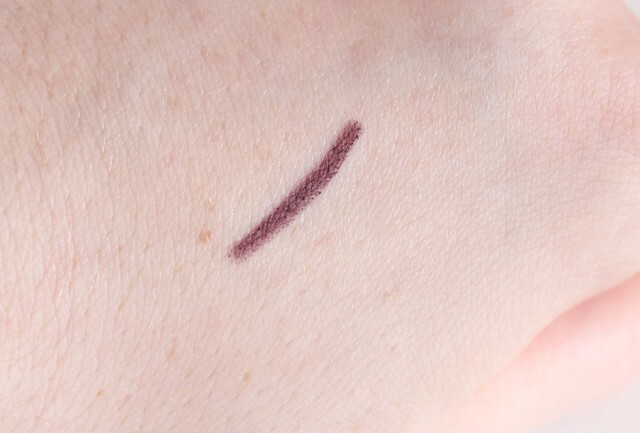 It didn't smudge on me at all and it was really long lasting as I wore it all day and it stayed put perfectly. Unfortunately I can't seem to find where you can buy this shade online but there are two other purple shades sold in Superdrug, Purple Stain and Temptation. These are £4.99. Have you tried any good products from GOSH? Todays wishlist items are all from Boohoo. 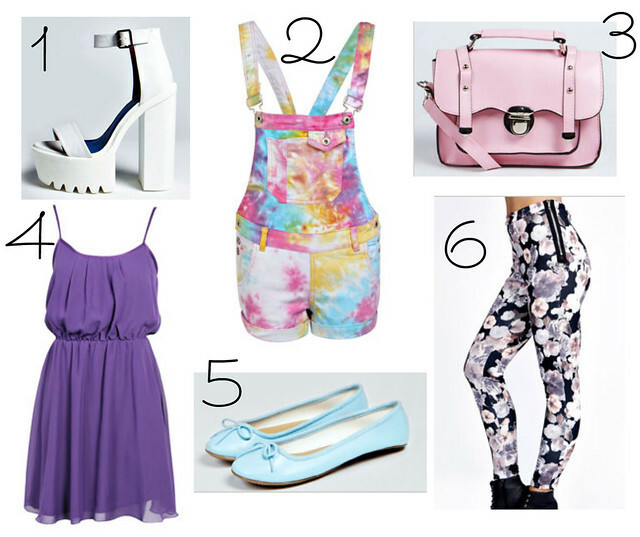 My favourite item here has got to be the multi-coloured dungarees, they look so cool. As I was deciding on what makeup to wear today I came across an Avon eyeshadow quad that I hadn't even used. I was quite surprised as usually I try them out straight away. 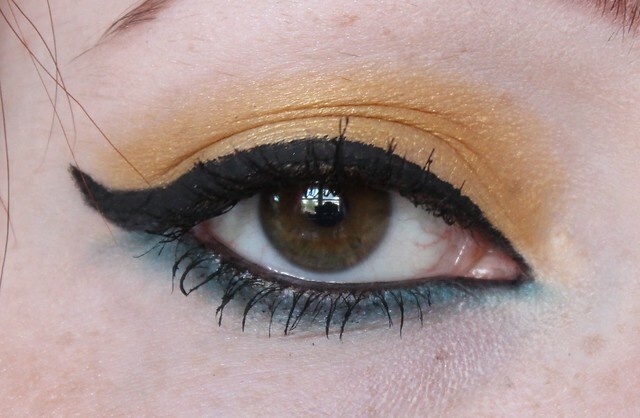 Anyway here is the makeup look that I came up with. The other day I saw Primark tweet about some new panda items they had in store so of course I had to go down there to see what I could get my hands on. Panda obsessed!! While I was there I also picked up some other purchases that caught my eye and spent more than I should have. 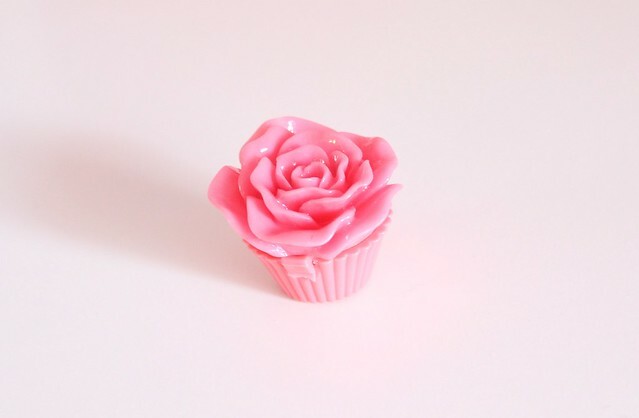 This is a lip balm in a rose shaped packaging and I bought this purely for decoration as I thought it would look really pretty in my room and it was only 50p. I bought three of Primarks makeup brushes, a stippling brush, a eyeshadow/concealer brush and a kabuki brush. I think their brushes look really pretty with the pink tips and the hairs feel quite soft too. 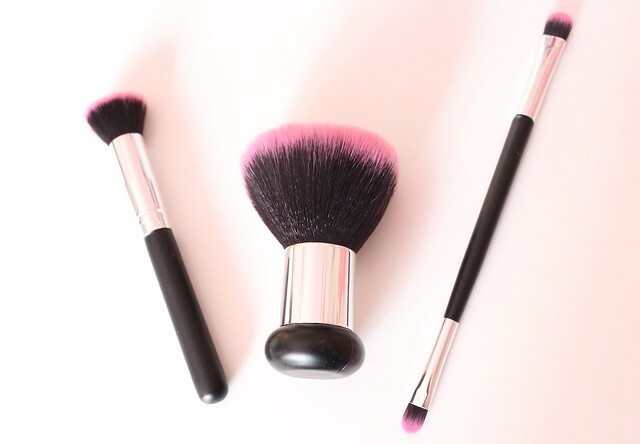 The stippling brush was £1.50, the eyeshadow brush was £1 and the kabuki brush was £2.50. I've wanted to buy some new headbands for a while and they have some really nice ones in Primark. This is the first bendy headband I've bought so I'm looking forward to trying this out. This was £1.50. 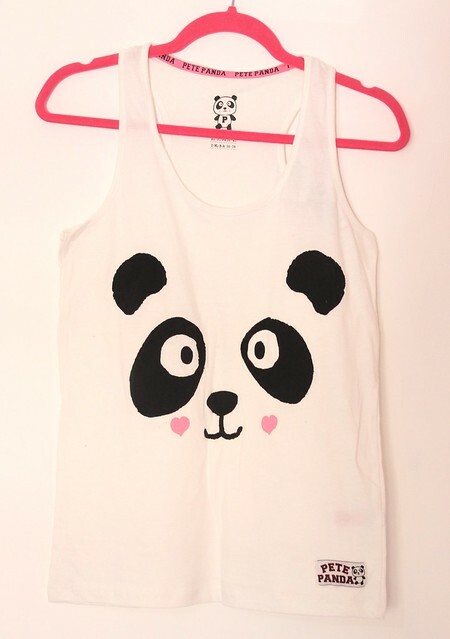 Another panda top with a cupcake on as well, yummy! This was £4. Some panda leggings to go with my panda tops. (How many times have I said panda in this post?) These were £6. 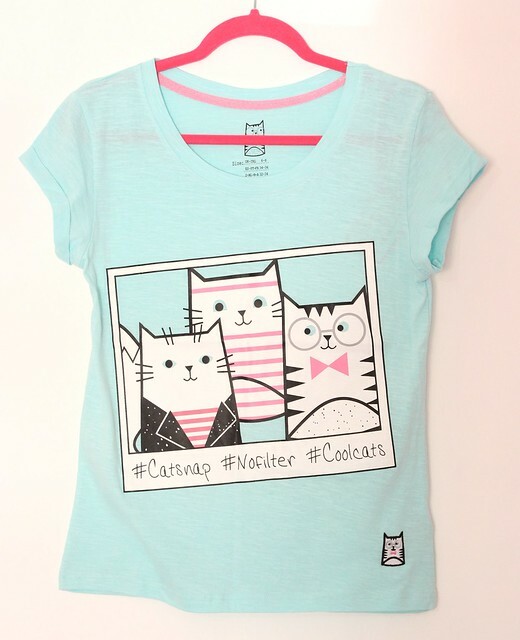 This is such a cute cat top and totally made me think of Instagram so I had to buy this when I saw it. This was £4. Some cute little cat knickers and they were only £1 so I couldn't say no to these. The last item I bought was these gorgeous blue wedges. As soon as I saw them I tried them on and fell in love, they are so lovely. I wore these in my last outfit post here. These were £12. Todays wishlist theme is PINK!! Pink is my favourite colour so I had to do a pink wishlist at some point. For today's outfit I've gone for some cobalt blue pieces. I knew I wanted to wear leggings so to go with it I picked out a blue strappy top and a pair of blue wedges that I recently bought. 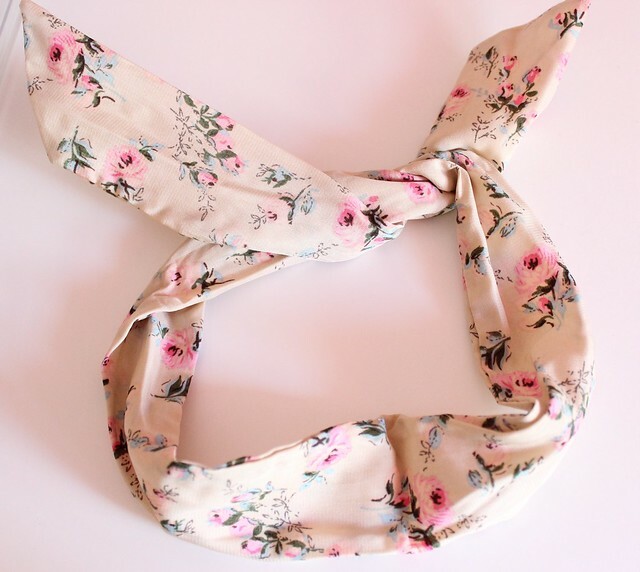 Also, the winner of my 100 Bloglovin Followers Giveaway is Jayne F. Congratulations! I have sent you an email so please get back to me as soon as you can. Today while I was getting dressed and putting on an orange top an idea popped into my head. 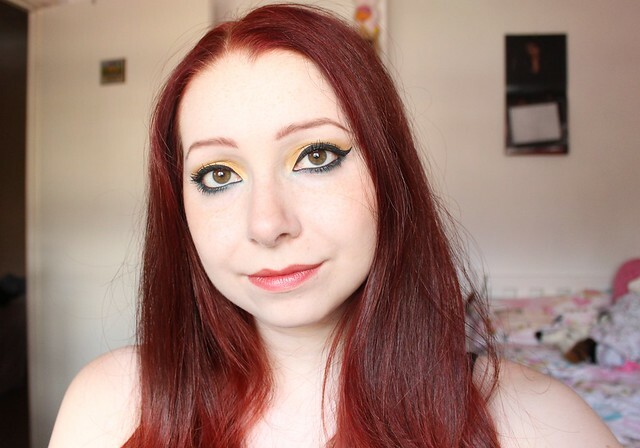 I could do a sunshine inspired makeup look today using yellow and orange colours. I wouldn't wear the whole look outside but I think you could wear either the eye makeup or the lips like this and then do something a bit more neutral for the other area. I'm not that into cream blushes but I received the NYC Beautifying Blushable Cream Stick in Never Sleeping Pink in my July Glossybox so thought I'd try it out. The blusher comes in a wind up tube and it contains a good amount of product. The packaging is quite sturdy and I like that you can see the product through the top of the clear plastic. This blusher is a really lovely pinky peach shade. This blush is very pigmented and I would recommend applying a small amount to the cheek and then blending. 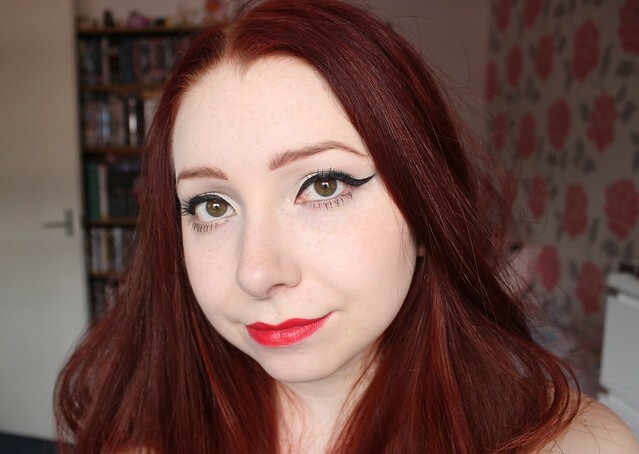 When I wore this the other day I applied a bit too much and spent ages trying to blend most of it away. This lasted on my skin for most of the day, at least 8 hours. I may wear this again but I'm still not sure about cream blushers, the main thing I don't like is that you have to blend it out with your fingers. I may try using a brush to apply it next time and see how that goes, let me know if there's any brushes you recommend? You can buy this blusher at Superdrug for £2.99. Do you like cream blushers? Have you tried this one? 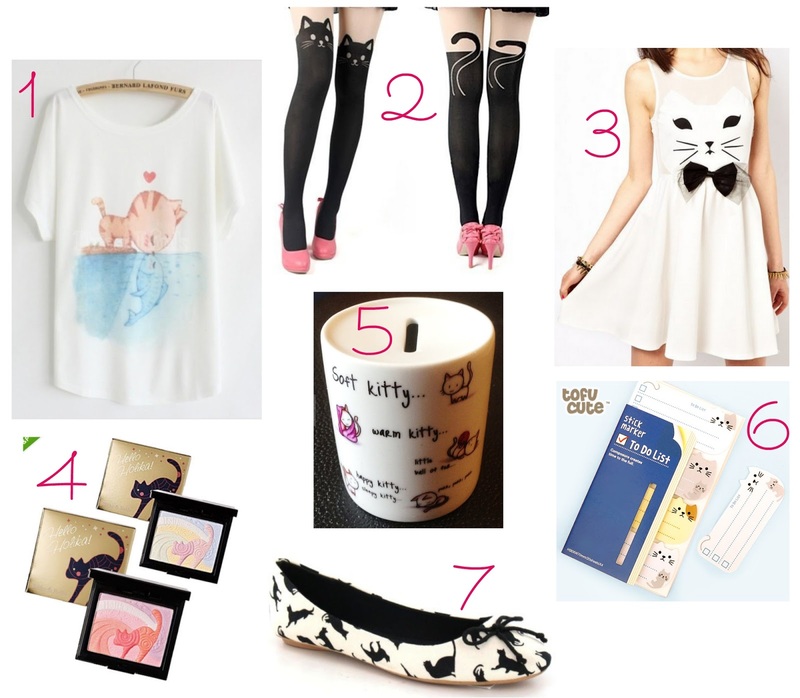 For today's wishlist I've decided to do a theme which is cats. I thought this would be the perfect theme to do this week as I've just got a new cat. It's rather warm today so I've gone for something quite simple and that's relatively cool to wear. I've actually skipped out on wearing makeup today as I'm so hot and clammy but this is an outfit post so makeup is not really needed. I've just reached 100 Bloglovin followers and I can't believe that many of you read my little blog. As a thank you I'm going to be giving away two lipsticks from Sleek. I chose two shades that I thought would be perfect for Summer, Fuchsia and Vixen. 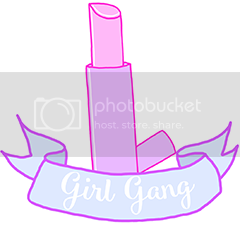 I have the Fuchsia lipstick and I love it so hopefully you will love these too. All you have to do is enter via the Rafflecopter widget below. It will end in one week on Thursday 14th at 12am GMT. Open to all ages (must have parents permission if under 16). Winner will be announced/emailed on Thursday 14th or Friday 15th. I'd just like to apologise for not posting for a few days but I have good excuse, I promise! I know today I should be doing a wishlist post but I have something exciting I'd like to share with you. 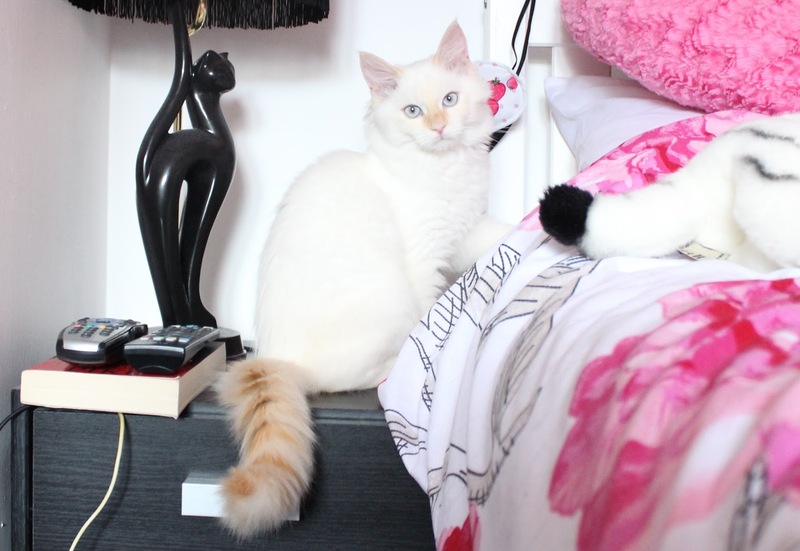 I've just bought a Ragdoll kitty!!! I'm so excited as I've wanted a Ragdoll for years and years and now I finally have one. 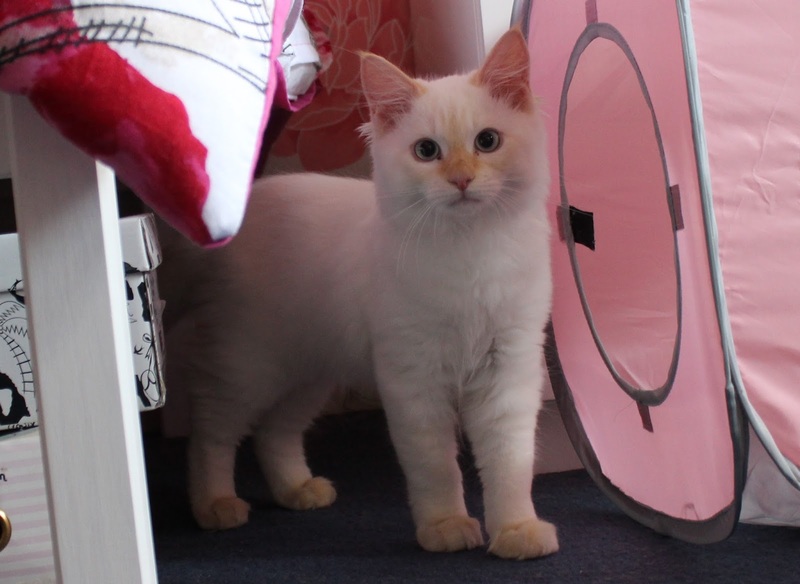 I've called him Cookie and I think he's a cream colourpoint. He was born on 16th April so that makes him 15 weeks, 4 days old. He's so beautiful and soft, I could just stroke him for hours. As soon as I let him out into my bedroom he was sniffing every nook and cranny and found a nice safe spot under my bed. At the moment I'm only keeping him in my bedroom until he gets used to us and my other cat. I did introduce him to my other cat Lilly but she wouldn't let him get too close and then she would growl a little. He's a very calm and relaxed kitty but he loves playing and I didn't get much sleep last night as he wanted to play with my feet over the covers every time I moved them. I still can't believe I've actually got a Ragdoll, it doesn't feel real. I'm sure I'll be posting pictures of him on here occasionally as he's so gorgeous.